Also known as “Dr. E” and “Dr. Testbuster”; Dr. Eftekar is the founder, director, and lead lecturer of the Step/Level 1 through 3 curriculum at Northwestern Medical Review. 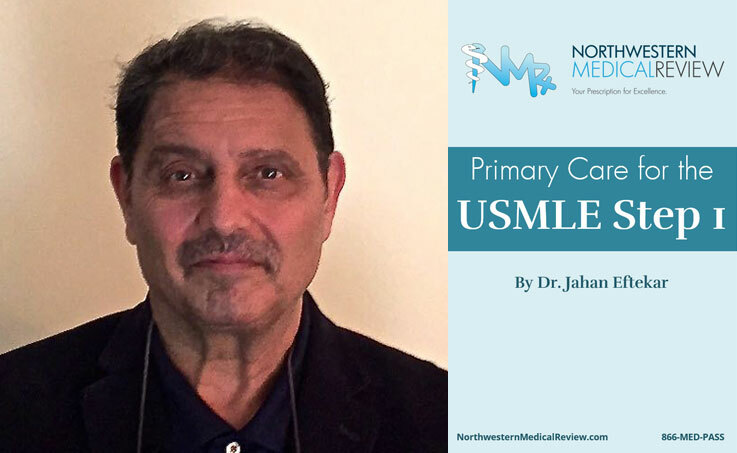 He is a professional USMLE and COMLEX prep coach and author, and has mentored medical students on passing over their medical board exam hurdles for more than 33 years. Dr. Eftekar’s broad basic medical science background and his zest for epistemology and philosophy of medicine have made him an unparalleled story teller in the COMLEX and USMLE arenas. Dr. Eftekar’s instructional TALLP methodology, that began as a prolegomena to any future medical review training back in the 1980’s, has not only now infiltrated all aspects of the Step/Level 1 – 3 training curriculum at Northwestern Medical Review, but it has also made him a pathfinder to many other fledgling board review authors and teachers. Dr. Eftekar’s ground-breaking understanding of the unique aspects of the osteopathic medicine curriculum back in 1984 has made Northwestern Medical Review the pioneer of NBOME/COMLEX preparation in the USA. Dr. Eftekar has authored over 32 medical board review books and study materials for the Step/Level 1 – 3 and his integrated and clinically-oriented teaching prep books are among the best-selling books of Northwestern Medical Review curriculum. What makes Dr. E an unparalleled head-coach in the medical board prep arena? Dr. Eftekar’s holistic method of test preparation and his superb motivational skills have made him an outstanding test-prep coach. Students who are under his care in our signature Coach Pack program learn how to achieve their personal best scores on their exams. They also learn how to increase their physical stamina, lift their spirits, and substitute positive attitudes for defeating qualities in their lives. With almost 70 years of age, 33 years of medical board prep practice, and non-stop strenuous physical training that is well-matched to the demands of his age, Dr. E has also become an unparalleled life-coach for our students. With Dr. E on your side as a coach, all you need to do is dream it, and he will help you to achieve it!